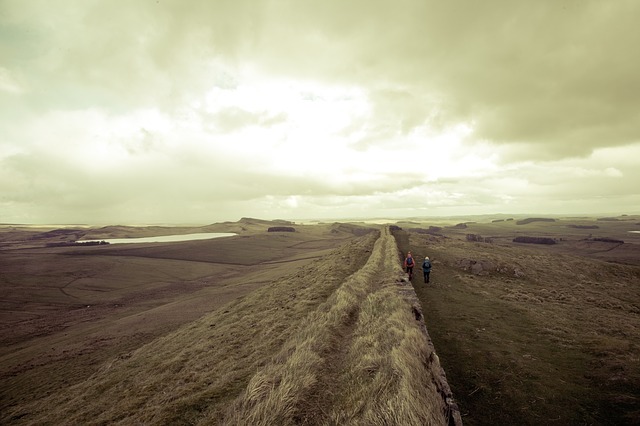 If you’re a regular reader of the Winfields Outdoor blog, you’ll know that we like to focus on some of the less mainstream outdoor activities, from coasteering to fell running. This time we’re getting to grips with Nordic walking. From choosing the right kit to finding the perfect spot, our short guide will tell you everything you need to know about this incredibly popular pursuit. Nordic walking is essentially a kind of hiking that involves the use of poles. It started out as a summer training regime for cross-country skiers (hence the poles), who would keep their fitness levels up during the off-season by traversing their favourite ski routes. The specially-designed walking poles are used to harness the power of the upper body and propel you forward as you walk. This helps to lower the impact on your knees and legs, whilst also working your upper body. Nordic walking can be done by pretty much anyone, anywhere. And because it involves exercising the arms as well as the legs, it’s a great way of turning a traditional walk into a full-body workout. What do I need for Nordic Walking? 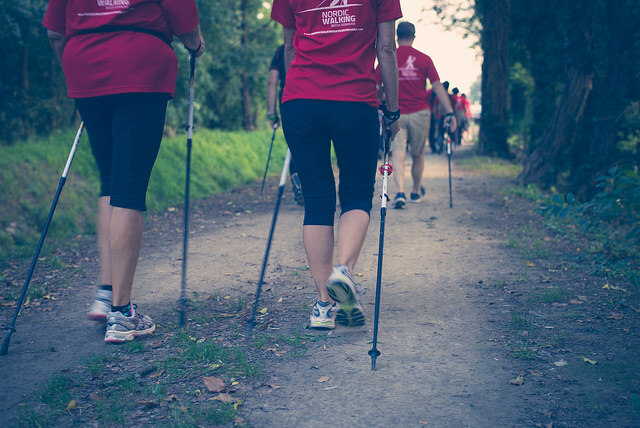 Walking poles – Go for a pair of specially-designed Nordic walking poles rather than trekking or skiing poles. 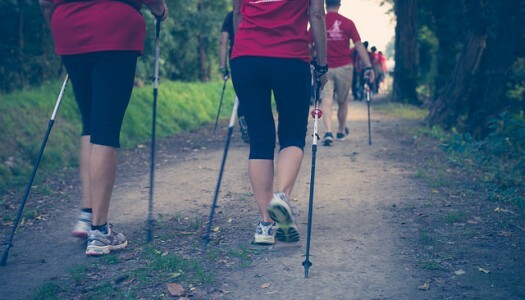 These poles are generally lighter and include straps and grip that are specially adapted for Nordic walking techniques. You should be able to pick up a decent pair of poles for around £30. Footwear – Your footwear needs to be supportive, without being overly restrictive. Walking shoes, trainers and trail running shoes provide good options, but walking boots may be a bit too bulky and rigid. Ultralight rucksack – A rucksack for carrying water, sometimes in a bladder, is a great addition for longer walks. These days, you pick up rucksacks that weigh next-to-nothing. Clothing – Due to the athletic nature of Nordic walking, you’re bound to get warm once you’ve set off. So it’s important to wear layers of unrestrictive clothing. Go for something that’s breathable and uses moisture wicking fabrics that help to move moisture away from the skin. For more on this, read our guide to base layers. Nordic walking can be done almost anywhere, both urban and rural. However, to get the most out of this activity, we recommend that you learn the proper form and technique from a qualified instructor. Many offer taster sessions so that you can try it first before deciding whether or not it’s for you. There are lots of local Nordic walking groups up and down the country which you can join for regular walks once you have learned the technique. For your nearest instructor and group, take a look at Nordic Walking UK or British Nordic Walking. 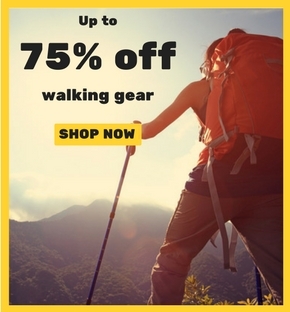 Shop our full range of trekking and walking poles today!